John Pedersen is a contemporary keyboardist from Southern California. He expresses his individuality as a composer in a variety of genres such as smooth jazz, chill out lounge, funk, Latin influenced rock, solo piano and electronica. Infectious melodies padded by a lush soundscape anchored by a hip rhythm section are some ways to describe John's style. Hypnotic grooves and inspired musicianship are another. John writes instrumental music designed to connect emotionally with the listener. It has what is known as the "wow" effect. It touches you deeply and lifts you. Along with John's multi-keyboard approach, superb guest musicians on sax, flute, guitar, bass and drums are featured. The result is a full band sound that just flat out sizzles and rocks. John spent many years in a variety of situations including stints with rock and country bands, a long career as a church organist and accompanying singers and choirs. Along with those musical experiences, lessons and college groomed John into a well rounded player. This eclecticism is reflected in the diversity found on John's five albums. "White Owl" (1997) was a journey into new age mysticism, while "Legend & Landscape" (1999) had elements of ambient and Native American styles as it explored the myths and legends of the desert. "When Sun Broke Through" (2002) was an inspiring collection of tunes with a more jazz-rock feel, but the 2006 release, "Paradise", was really getting ensconced in smooth jazz and groove oriented electronica, with several beautiful solo piano tracks thrown in for good measure. The brand new masterpiece, "Groovidi" (2007), continues the influence of contemporary jazz in earnest, along with funk, solo piano and even Latin flamenco: underscoring John's interest in all manner of great music. When John isn't recording, he teaches a small army of students the joys of piano playing. 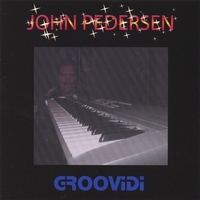 The CD "Groovidi" by John Pedersen is an impressive smooth jazz CD. The instrumentation and production are tasteful and the melodies are memorable. Especially impressive, is John's excellent piano and keyboard work, and the excellent musicianship throughout the CD. The CD has a very professional sound. "Montery Getaway" is one of our favorite tracks. It demonstrates the versatility of John's piano skills. The compositon is very soothing and breathtaking all at the same time. It has a Bob Baldwin kind of feel to it. The reverb from the piano jumps out at you and almost makes you feel like you're right in the room with him. Please go out and purchase this CD. We recommend it to anyone who appreciates smooth melodies and stylish beats. 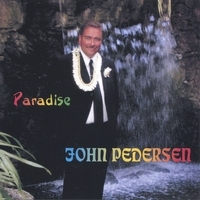 “Paradise” is a CD filled with tasteful instrumental tracks, by John Pedersen. One listen to this CD and we were struck by the excellent musicianship. Prevalent throughout the CD is tasteful and musically challenging piano and keyboard work. The CD kept our interest by not only including a number of up-tempo mainly keyboard and/or synthesizer tracks, but also mixed in some softer piano tracks and some full band smooth jazz tracks as well. Our favorite tracks include the up-tempo “City Lights Below” with its excellent guitar and keyboard solos and bass break, all backed by an excellent groove. The title track is another one of our favorite tracks, with its strong synthetic beat and neat synthesizer work. If you enjoy smooth jazz, or listening to a keyboard/piano virtuoso, you will enjoy this CD. Pick up a copy today!